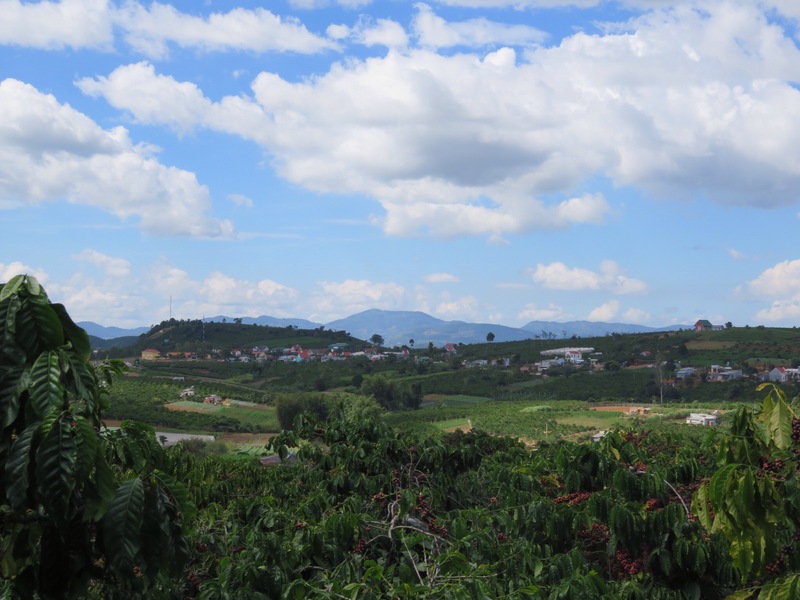 From Mui Ne, we were packed into a slightly oversized mini van for a 4.5hr drive on the windy roads to the beautiful town of Da Lat. I’m glad Tom and I are not tall or fat because we barely fit into the seats of this bus and our knees were touching the seat infront of us. Needless to say it was quite an unpleasant journey but thank goodness it was just a short one! 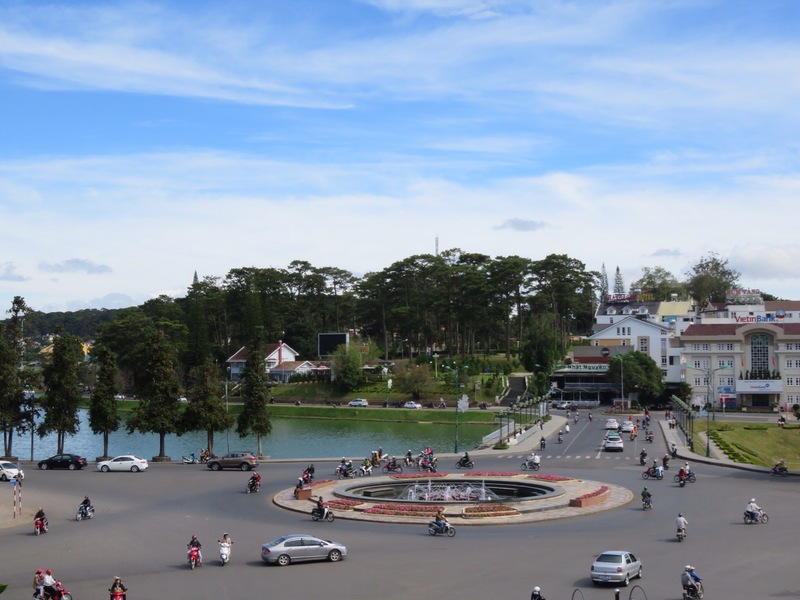 Da Lat is a small city in the mountains and sits at 1,500 m above sea level which leaves the weather a pleasant Spring-like temperature. It was a strange but nice feeling to be able to wear a sweater (and even pants at night!) instead of continuously sweating 24/7 like we have been for all of our Asia trip so far. 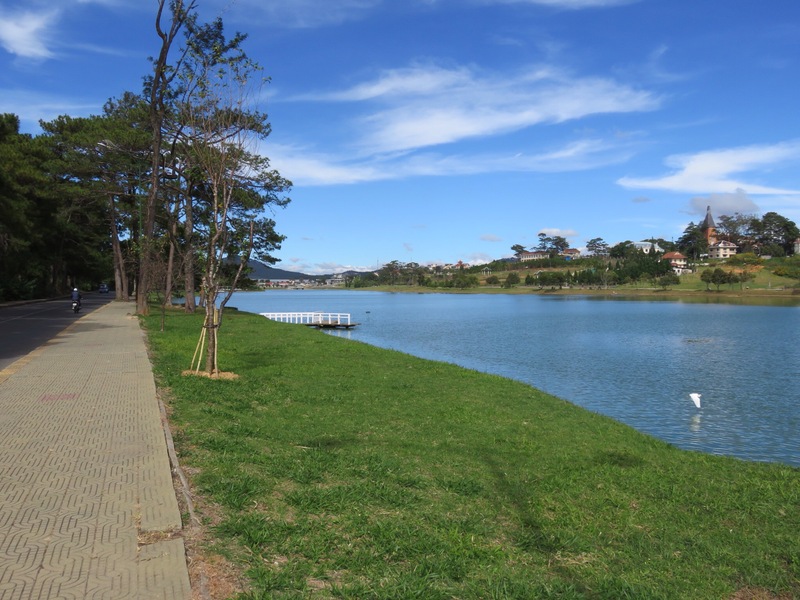 In Da Lat you won’t find any western franchises, western restaurants or hardly any western tourists at all. It is a place where Vietnamese people come to holiday and honeymoon. It is full of small coffee shops, family run guest houses and hotels and local restaurants. It was a nice contrast from the very touristy Mui Ne. We stayed at Villa pink house which turned out be to an excellent choice. Our room was beautiful and the staff were lovely, we feel felt right at home. Mr Rot, the son of the owners, runs a secret tour which was highly recommended to us by our friends and of course by trusty TripAdvisor! We don’t usually like doing tours as we prefer to do things on our own so we have more freedom, but we had a feeling this was a tour we shouldn’t miss out on. We immediately booked it for the following day. The next day we were quite tired from our massive day the previous day so we decided to take it easy. We slept in, had a nice lunch at a local restaurant called Vinh Loi and spent the afternoon walking around the huge lake just outside the city. It was a beautiful, relaxing way to spend the day. 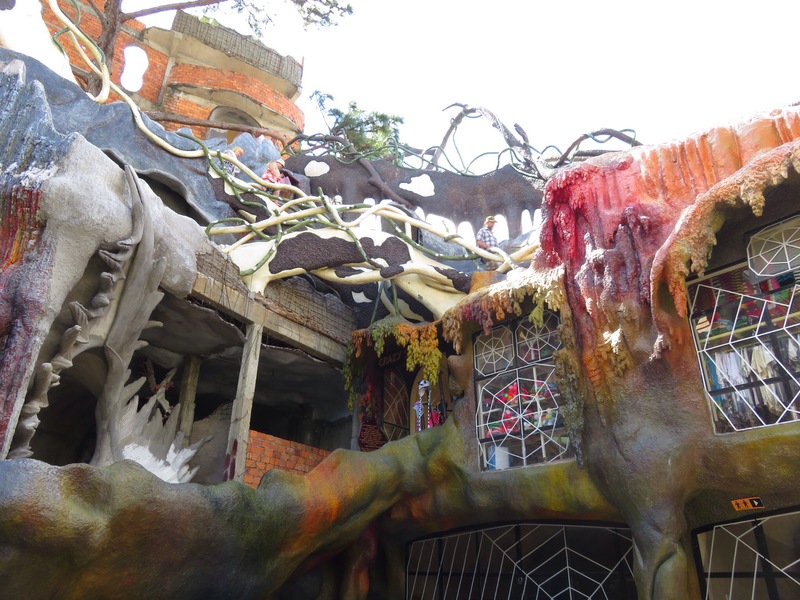 On our last day we decided to check out the much talked about Crazy house. 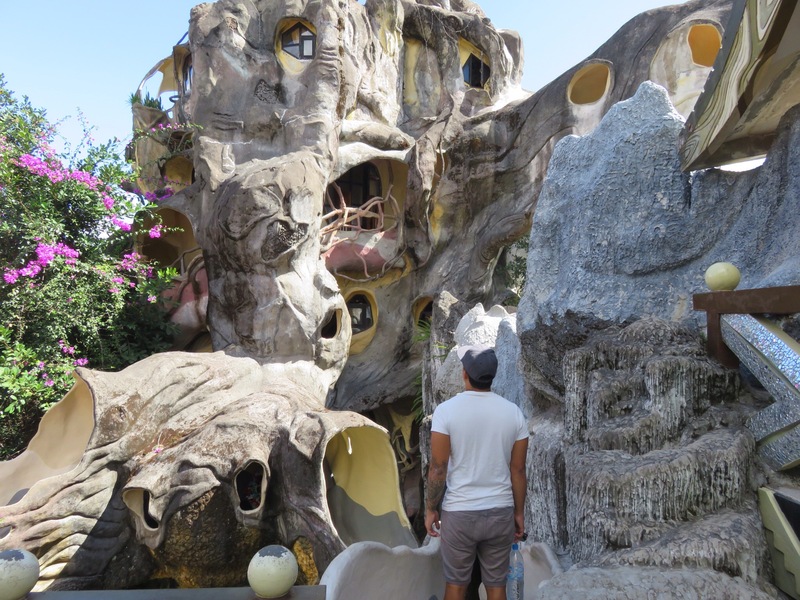 The Crazy house is actually a hotel (that’s still in the process of being built) that is inspired by the famous architect Guadi. It is such a strange building filled with random hallways, steep stairs and weird decorations. To be honest it wasn’t really my cup of tea. For one, it was full of tourists and secondly I just found it really strange. I would still recommend going to see it though! Next we went to the 100 Roofs cafe that was recommended to us by a fellow traveller. 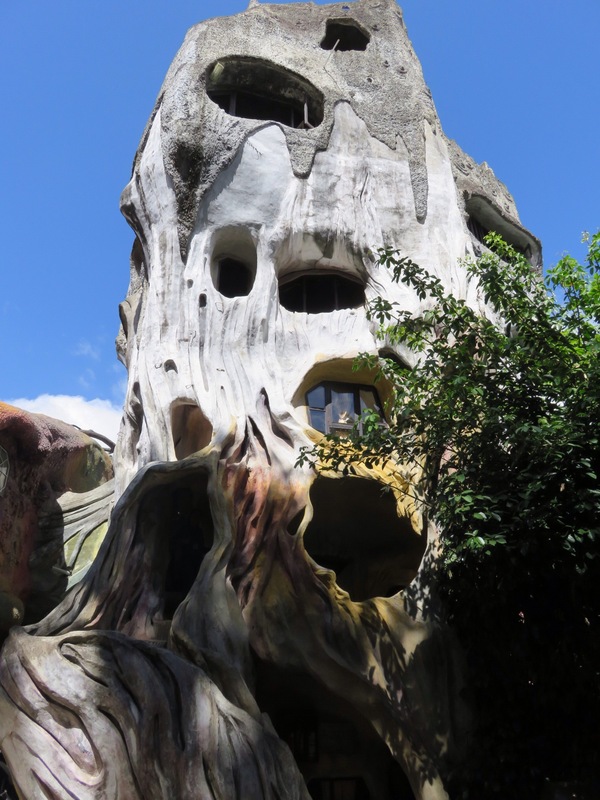 It turned out to be designed by the same person who designed the crazy house and it was just as strange if not more. It was full of rooms, balconies, tunnels and odd objects and decorations. I got the feeling we didn’t even get to explore half of it. It was again, a little weird but it was cool to see and the coffee was delicious. After all the weirdness we wandered through the local markets. If you are after fake Nikes then this is the place! There were so many and they looked pretty much real if you ask me. There were also the usual suspects such as fruit and veg, meat, clothing and handbags. 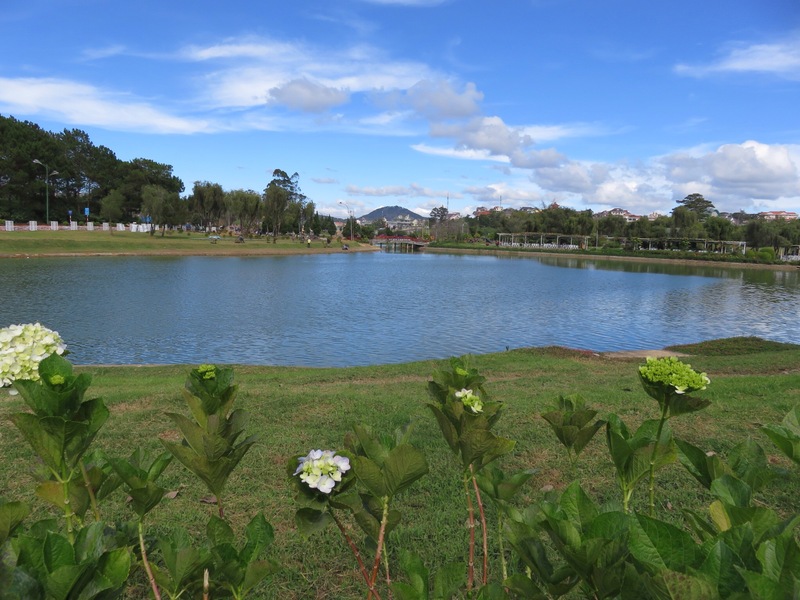 Da Lat has a very relaxed vibe to it. It is French colonial inspired, surrounded by nature and full of friendly locals. Many people come here for the hiking and canyoning, so it is also full of adventure if that’s what you are seeking. 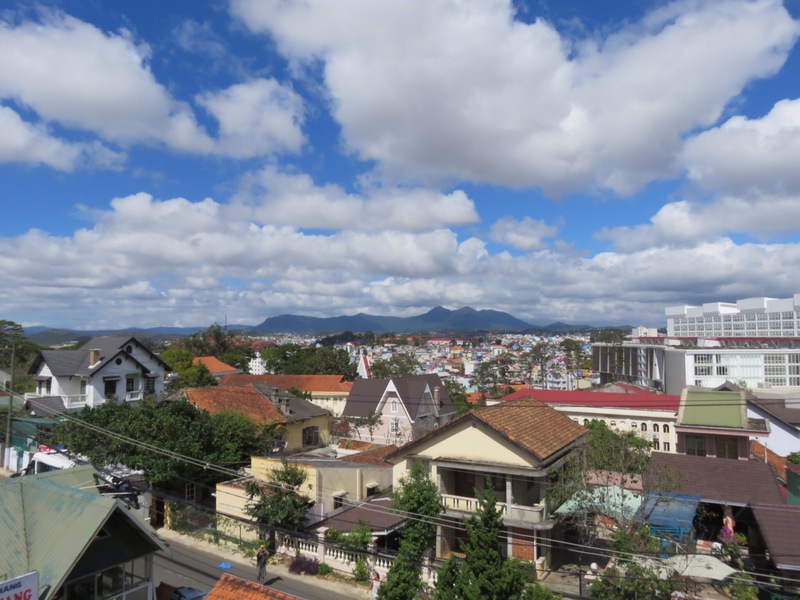 I really enjoyed my time in Da Lat and being back in the mountains but I didn’t fall in love with it. I am really glad we went there though. Now we are heading down the mountain to the beach. Next up, Nha trang! 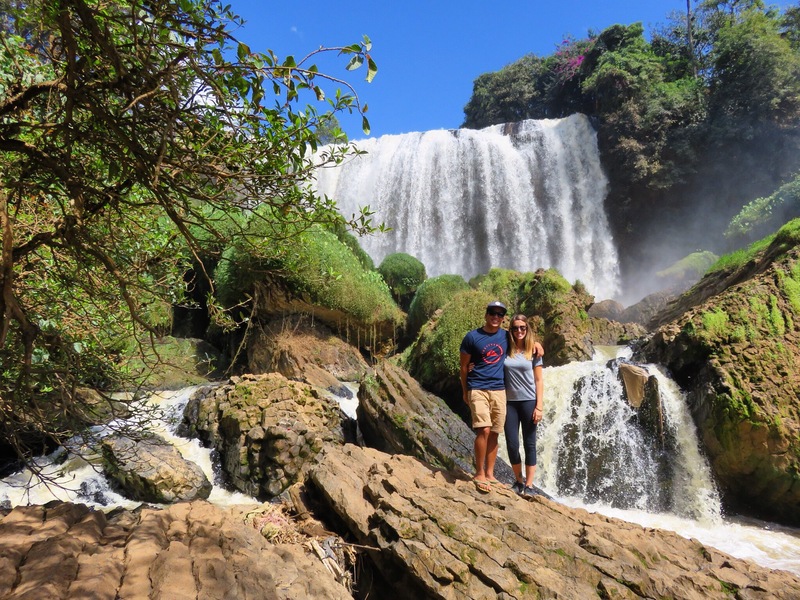 I loved my time in Da Lat and I’m happy to read about the secret tour! I can’t wait to go back and take it. It was such a relief to get there and not be drenched with sweat the second I stepped outside like I was in Hanoi and Hoi An. Great post & thanks for sharing!